WATCH: Jesse Williams' Speech On Black Lives, Equal Rights, Police Brutality And Freedom - Ooooooo La La! 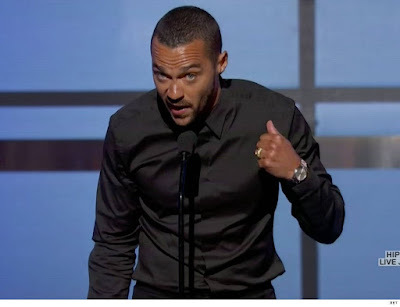 Jesse Williams, who is best known for his role as Dr. Jackson Avery on Grey's Anatomy, has set the internet on fire after his powerful and moving speech at the BET Awards last night. RELATED: Beyonce & Kendrick Lamar Kick Off The BET Awards With A Bang! While accepting the 'Humanitarian Award' for his work in civil rights, the 34-year-old actor spoke on police brutality, equal rights, the Black Lives Matter movement and freedom.